We are proud to announce that the Sea Spray Homeowners Association has selected Tinnelly Law Group as their association’s legal counsel. 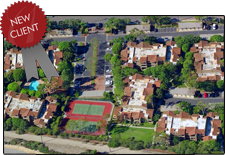 Sea Spray is a private gated community in Huntington Beach consisting of 150 beautiful condominiums located less than two miles from the beach. Sea Spray’s residents enjoy fantastic recreational amenities including a beautiful clubhouse, pool, tennis and volley ball courts. Our HOA attorneys and staff look forward to working with Sea Spray’s Board and Management.